Is Rail Transloading the Right Move for You and Your Business? - Standard Distribution Co.
Rail transloading is the process of moving freight using multiple different transportation methods. This particular approach to moving freight can often be seen as time consuming and wasteful, but in reality the utilization of several different types of transportation can actually save your company a substantial amount of money. By transporting freight via railways, you not only increase the amount of product that you are able to move, but you also reduce the amount of fuel required to move it. This not only positively impacts your bottom line, but also the environment. If any or all of the above statements apply to you and your business, then rail transloading could be a very viable option for you. Standard Distribution Co., is a family owned and operated third party logistics company out of the Midwest that prides itself on providing its customers with the highest quality services possible. For more than 80 years we have been committed to meeting and exceeding the needs of each and every one of our beloved customers whether it be warehousing, product fulfillment, or rail transloading opportunities. 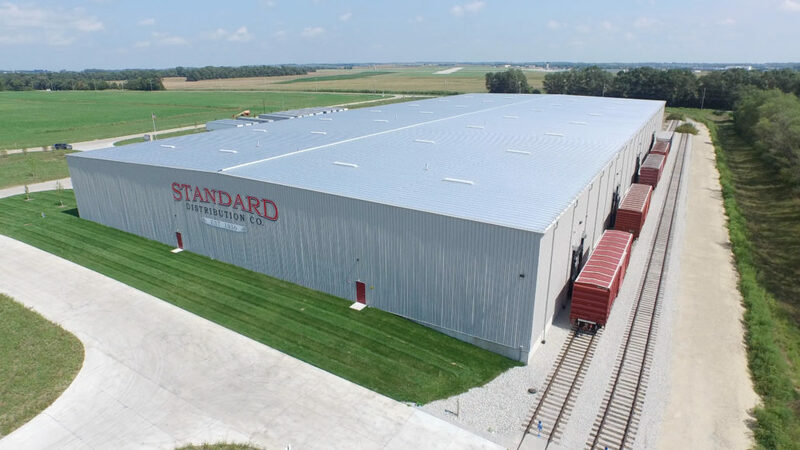 To speak with a rail transloading expert here at Standard Distribution Co. about how our services can benefit your company, please give us a call anytime at 319-277-9299. You can also contact us online by simply clicking here. Thank you, and we look forward to working with you in the near future!